Stairs are one of the oldest architectural developments in human history, dating as far back as 6,000 B.C.E. The modern staircase is a lot more complex and elaborate then the ancient stairs. The most common material for stairs is hardwood, although options such as stainless steel, glass, and titanium are also available. 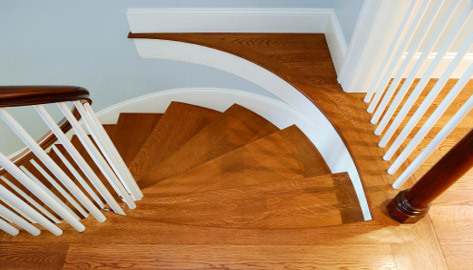 There are many choices concerning the styling of a staircase, as there are endless varieties of banisters and railings. Overall, a staircase often becomes the reflection of one’s style and design aesthetic.